The energy sector is crucial for both shores of the Mediterranean. As the demand in the Southern shore is expected to increase in the upcoming years due to population growth, secure, sustainable and affordable energy will increasingly represent a tool for development and cooperation. In this regard, states that border the Mediterranean have a unique opportunity to work together to develop energy networks, integrating their markets and improving energy efficiency. Cooperation on energy can unfold the region’s potential in bringing tangible economic benefits and mitigating long-lasting regional geopolitical tensions and conflicts. ISPI and the Italian Member Committee of the World Economic Council (WEC Italy), in cooperation with the Italian Ministry of Foreign Affairs and International Cooperation, on the occasion of the World Energy Week (WEW), promote in Milan next October 10th the Towards MED “Energy as a bridge through the Mediterranean Region”aimed at discussing the future of Euro-Mediterranean energy relationship. The conference will benefit from the view of Claudio Descalzi (ENI) on the quest for a sustainable and secure energy future in the Region and the role of gas in this context. Furthermore, Houda Allal (OME) will release the findings of the MEP – Mediterranean Energy Perspectives scenarios 2018, and Luigi Ferraris (TERNA) and Moncef Harrabi (STEG) will discuss the role of interconnections in upgrading Mediterranean electricity networks. The conference will be chaired by Ugo Tramballi (ISPI Senior Advisor). Simultaneous translation in English and French will be provided. 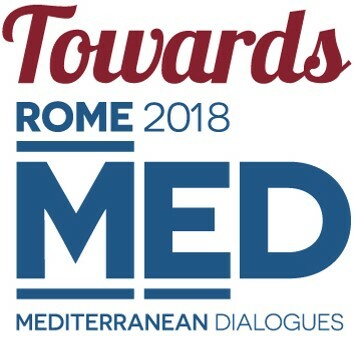 TowardsMED are the MED's preparatory meetings aiming at deepening and widening some of the topics which will be discussed in Rome, gathering specific experts and policymakers to debate specific issues relevant for the MENA Region.